Please use the following Q&A list to search for a recently asked question. If your question is not here please send us the question by using our contact page and we will will answer your question and add it to this Q&A list. 1: Can I get the experience information in pdf? We want to have our information as fresh as possible so we try to avoid having non online documents that can be out of date. We make sure the latest programs are always online and with the google translate option below it can be in your own language. If you want to be kept updated even if you do not visit our website every now and then we advise you to sign in for our news letter which will be send by email if we have news or if there are updates. Please click here to sign up for the news letter. 2: Can I also book a guided trip one on one? Yes, if you want we can send you a one on one experience based on some time or even on a bird list you would like to see. Sometimes couples want to use one of our guides for one or more days. We have special 2 day experiences with birding hotspots in combination with some nice locations for lunch and a boat trip on the Creek which even the partners of the birders will like very much. 3: What if I only want to see a specific list of birds during our visit? 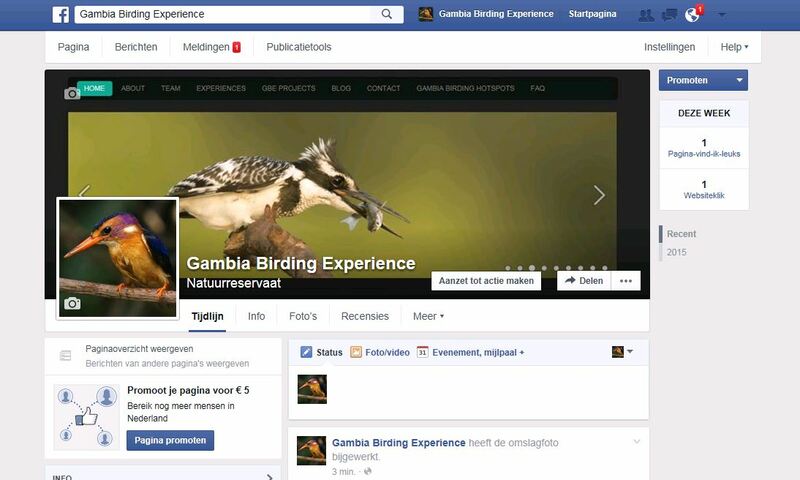 No problem, send us your list of birds and we will make up the program needed to see those birds during your visit. It will hold the amount of days needed and the Birding hotspots we need to go to find these birds. Our very expeirences guides will know excactly were to go. Fill in the bird list experience request form or upload your list to our guides and we will respond with a custom made program. If one of the group gets sick Foday or the senior guide will personally make sure the person will be brought to a doktor or if needed the closest hospital and stay with the customer at all time no matter how long to takes. The rest of the group will continuo the Experience with the other guide(s) and driver. When the person is fine again Foday will bring him or her back to the group to continuo the Experience with the group. Small injuries will be taken care of with the first-aid case we will have with us on the bus and in smaller form in our guide backpacks during walks at al time.